Recently Huawei has released couple of teasers regarding the launch of its upcoming Mate 20 series smartphone which is expected to be unveiled on October 16 event in London (here). Now today the company has released a new teaser video and three official posters on its twitter account with a tag line " Thank you for keeping things the same. See you in London". As Apple’s event neared its end by announcing the three new iPhones, dubbed XS and XS Max, and XR, Huawei suddenly became active on its official Twitter account by tirelessly promoting the benefits of its upcoming Huawei P20 or P20 Pro. The video teaser showcases the idea that Huawei's next flagships to go "beyond consistency", "beyond horizon", and even "beyond intelligence". 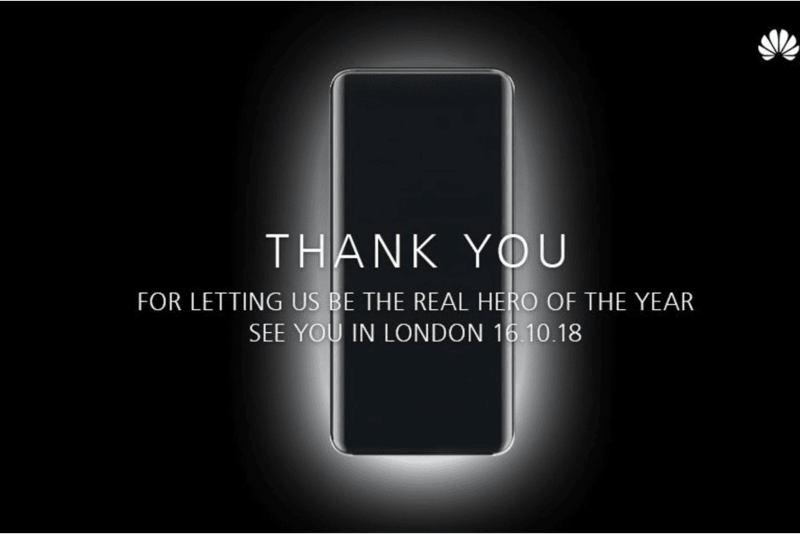 Meanwhile one of the teaser poster with the Mate 20 Pro in the backdrop confirms its curved dual edge display and had a tag line “Thank You - For Letting Us Be The Real Hero Of The Year”, which seems a clear response to the Apple for keeping things the same (may be the same design philosophy of all three new iPhones). Huawei’s second teaser image shows a person running inside a circle is directly aiming at Apple since it resembles with Apple’s event invites, and we are not sure what Chinese company is implying here. The last one shows a wide range of colors and hints at companies focus on artificial intelligence. However, Huawei’s is trying to distract the whole media attention away from Apple, since the headlines today are dominating by the new 2018 iPhone line ups.